RealTime Control Systems specialises in the development of BMS hardware and software solutions for intergrating BMS control systems. The company has a wide range of experience in the design and use of BMS controls as well as knowledge of a wide range of HVAC systems. RealTime has developed a number of hardware platforms that are the basis for various different products. A number of products have been developed for interfacing Building Management Systems to various products such as VRF and DX air-conditioning products. 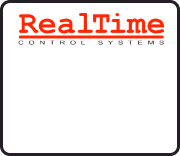 RealTime has experience in working with many BMS and HVAC manufacturers in the development of advanced controls algorithms for application to the monitoring and control of a variety of HVAC systems. Should you have any requirements for development of such systems please contact us. you have reached the original RealTime Control Systems. We have a new logo design and website but provide the same great RealTime products and services.